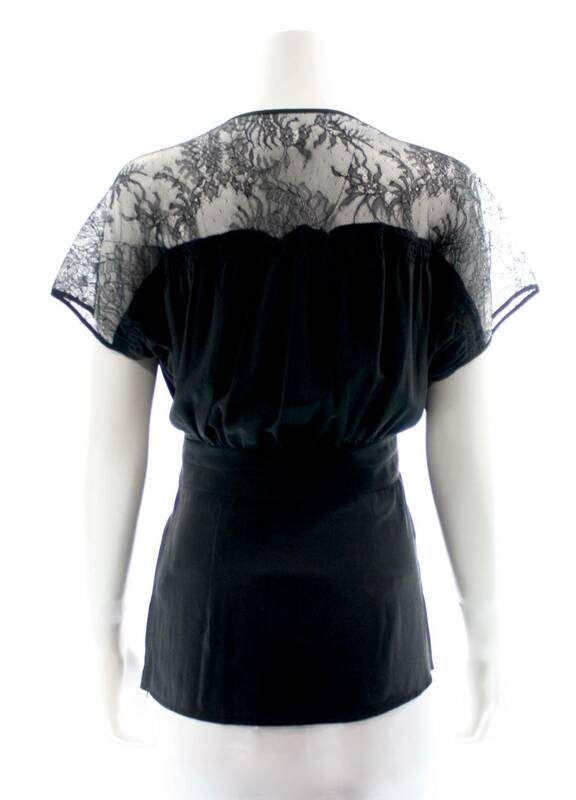 Nanette Lepore Black Lace Top New With Tags w/ Embellished V-Neck. Side Zipper. Condition: Exclellent, New with tags.